DLC strategies are all the rage in modern gaming with packs being announced before the game even hits the shelves, but DLC for a four year old game that people are not playing much? Phantom Breaker: Battle Grounds seems to think we still want more, even now! Cast your minds back to 2013 and more innocent times. Phantom Breaker had been released in a special edition for the 360 and PC and Co-Optimus gave it an impressive 4 out of 5 in our review. If you have been holding on since then for some DLC to extend the game, then you are in luck as it is finally here! The DLC has finally come to 360 - joy! The popular character Frau Koujiro, from visual novel “Robotics;Notes” will become a playable character in Arcade Mode, Coop Mode, and Versus Mode with this DLC. This DLC lets you swap to FM synth BGM on PSVita and Steam, or PSG synth BGM on PS4. The packs will cost around $5.99 for the character pack and $2.99 for the music. Cheap at half the price ...... wait a minute. 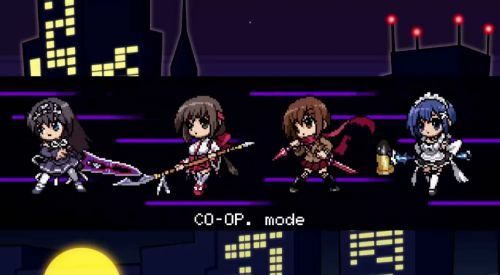 Despite the late content dump, Phantom Breaker is a fun 4 player online/couch co-op game that is available to play using the backwards compatibility mode on the One. For fans of classic feeling, side scrolling beat-em-ups, it is worth a look.